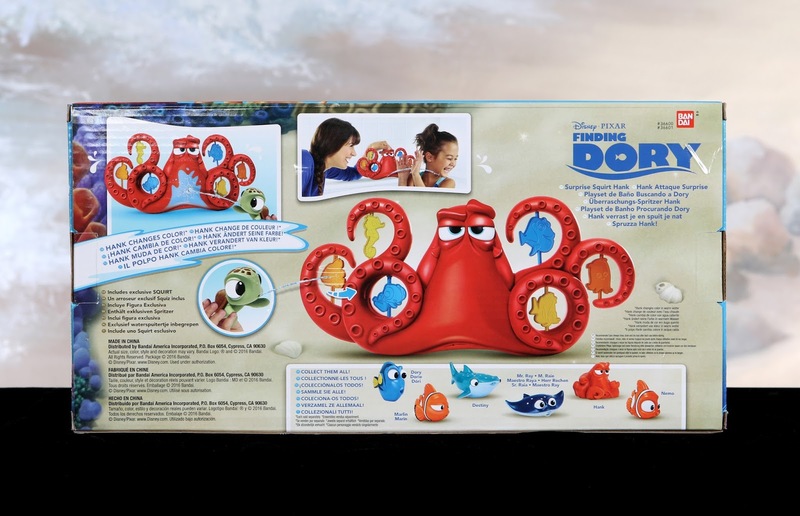 Today we're having more fun with the Finding Dory bath squirter collection from Bandai! 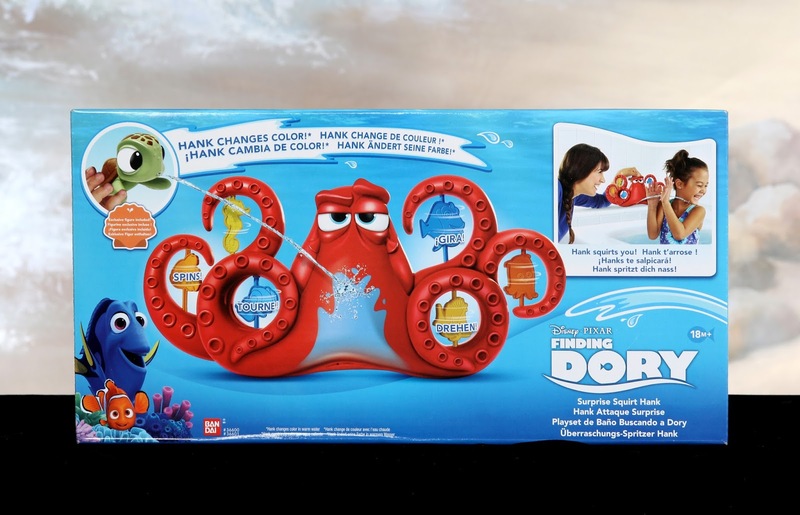 Continuing on from the six individual characters I showed off on Thursday (also seen on the back of the box below), here we have the extremely cool "Surprise Squirt Hank" Playset. This set is packed full of features. 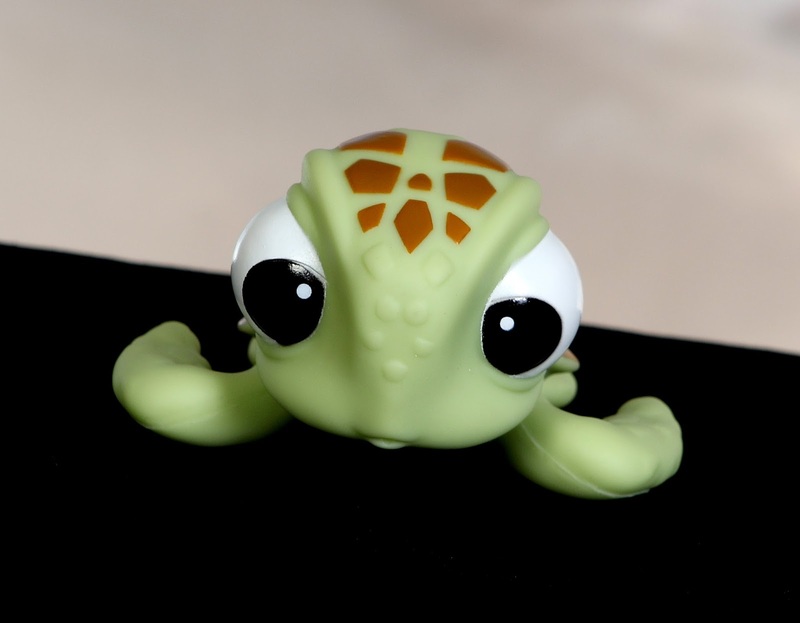 First of all, it comes with an adorable exclusive Squirt bath squirter (appropriate, right?) only available in this set. That alone is a good reason to pick this up, but wait- there's more. You can use any of the bath squirters to hit and spin the fish targets hanging from Hank's tentacles! 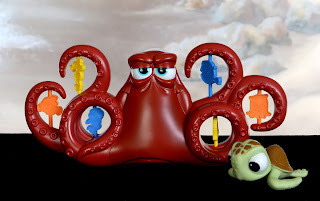 There are six characters to hit (all from Mr. Ray's class as seen in Finding Dory): Sheldon, Nemo, Squirt, Pearl, Tad and Dory herself. 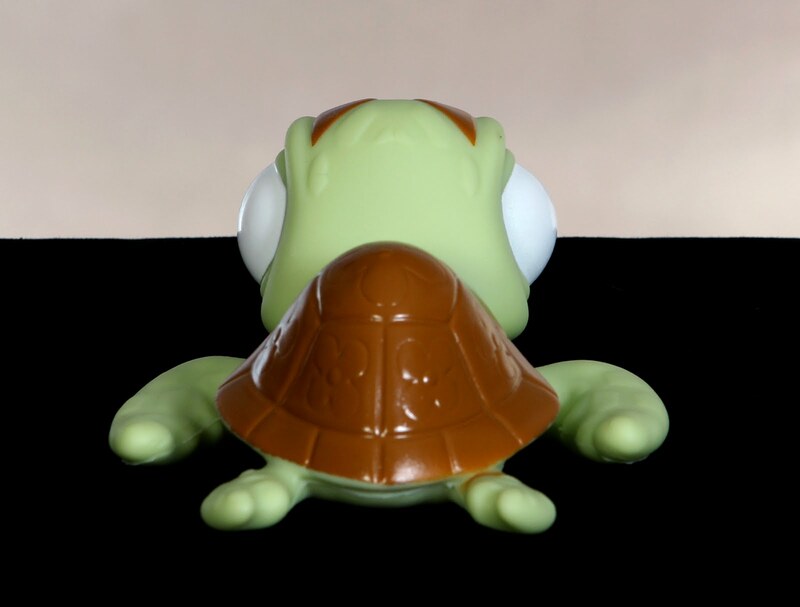 This Hank, just like in the film, is also a color changer! Squirt him with warm or hot water and watch his center face area turn blue (his tentacles do not change). Of course, Hank can only take so much of you squirting him before he looses his temper though...so be prepared for him to squirt back! 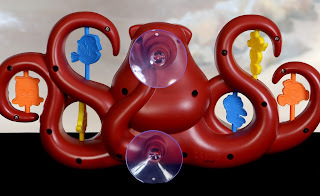 Just fill him up with water and press the top suction cup repeatedly for squirting action. If he's suctioned to a wall, just press him in from the front and it'll work just the same. How awesome right? 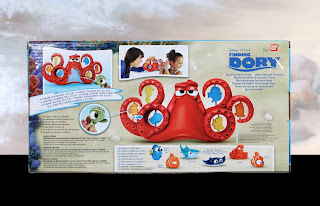 Overall, this is a really neat bath (or pool) toy with a great design and fantastic play features. 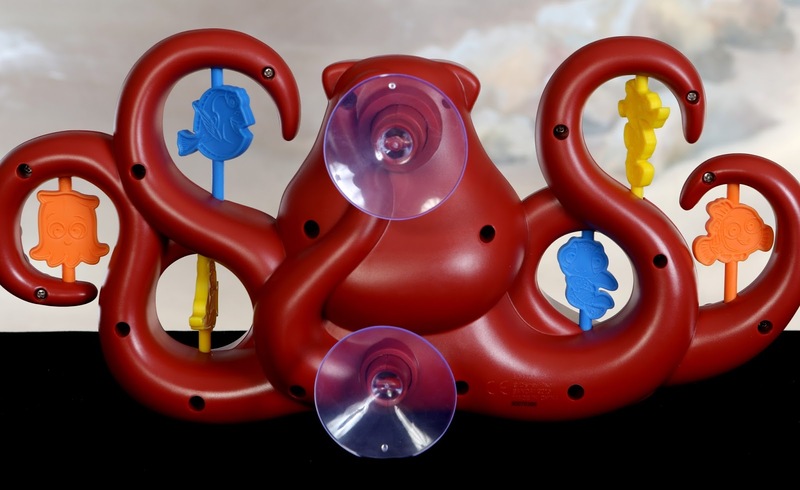 Kids will have an absolute blast with this and all the water squirter friends! You can pick this up for $19.99 wherever Finding Dory toys are sold or on Amazon (currently on sale) using the direct link below. I hope to have a video of these in action up soon, so be sure to stay tuned to my YouTube channel and feel free to subscribe!